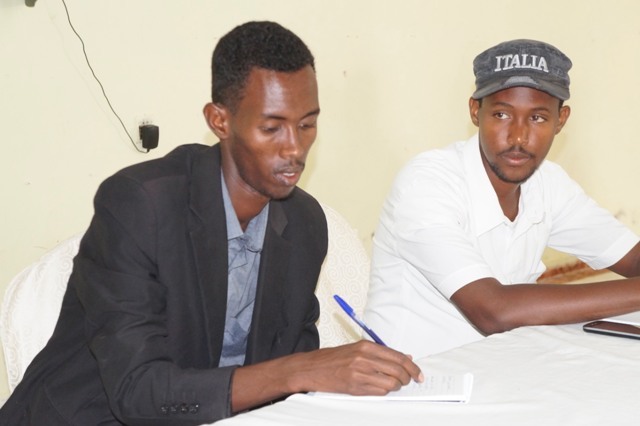 Home » Puntland: Forum on Role of Media in Fostering Good Governance calls for a stronger partnership between Puntland Media and CSOs to advance ‘’Good Governance’’ in the region. 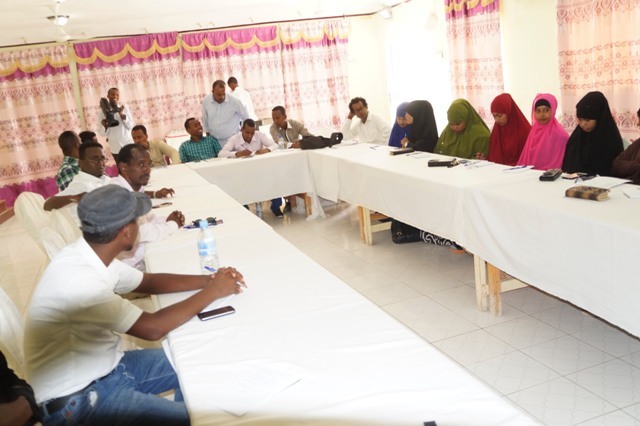 Puntland: Forum on Role of Media in Fostering Good Governance calls for a stronger partnership between Puntland Media and CSOs to advance ‘’Good Governance’’ in the region. 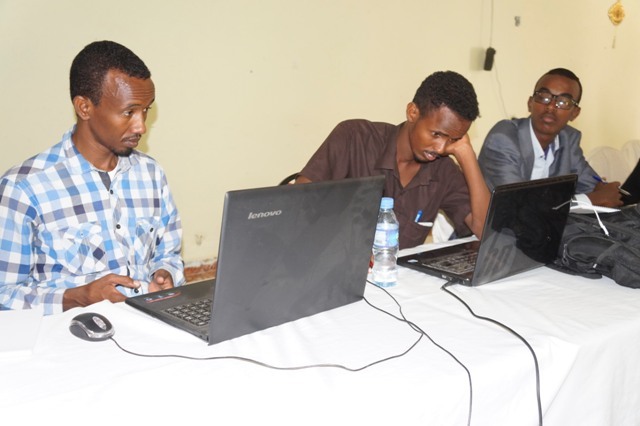 Right-to-left; Mohamed Abdiwahab – SSG representative(Standing), Faisal khaliif – MAP chair, Mowlid Abkay – Director of the Puntland Ministry of information, posts, telecommunication, culture and heritage at the opening of the forum on Media’s role in fostering good governance held at the new rays hotel in Garowe March 9th 2016. 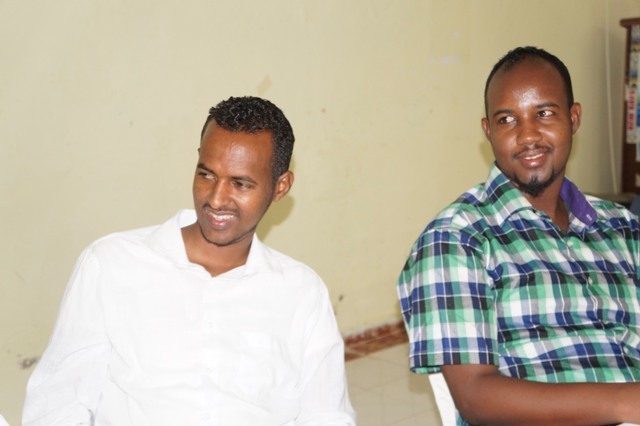 On March 9th, the Media Association of Puntland (MAP) in partnership with the Strengthening Somali Governance (SSG) a USAID funded Project effectively held a one day forum on ‘’Role of Media in Good Governance’’ for 40 participants composed of media practitioners and CSOs that are stationed in Garowe the administrative capital of the Puntland State of Somalia, to enable Media outlets and CSOs share experiences and strengthen their relations to advance Good Governance in the region. The forum, that focused towards the vital role of the media in promoting good governance engaged the participants on open discussions guided by the core principles of the governance agenda; accountability, transparency, participation and inclusion. 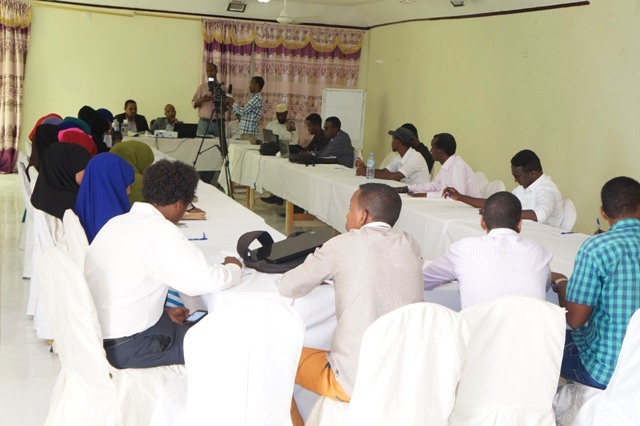 Similarly, participants had a lengthy debate on the role of the Media in fostering good Governance that included strategies to strengthen collaboration amongst the CSOs and Media outlets acknowledging the crucial role of the media in upholding freedom, and in expanding education and social reforms and change. Mr. Khaliif urged the journalists to be balanced and professional in the way they report especially on key sensitive issues. Mr. Mohamed Abdiwahab representative of the SSG project in his remarks noted ‘’We are gathered here today to debate and discuss on the various roles the media plays in the cause of fostering good Governance in our country’’, he added we are also here to brainstorm the challenges that hamper our media in promoting good governance as well all know that today a major concern in our country is [good] governance, having said that I call you to actively participate so us to jointly come up with constructive initiatives, thank you all, Said Mr. Mohamed. 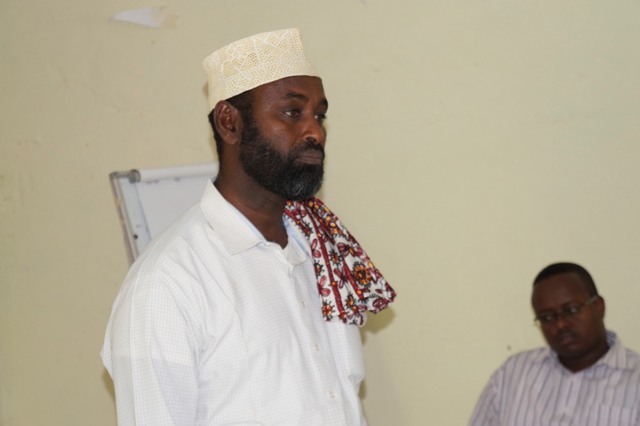 Mr. Mohamed also gave an introductory brief of the SSG activities and mentioned that Strengthening Somali Governance (SSG) is a nationwide activity to support the development of effective and accountable governance across Somalia. SSG project is also designed to support efforts that enhance government outreach, increase citizen participation, improve the functional capacity of key government institutions, and expand women’s empowerment and leadership. 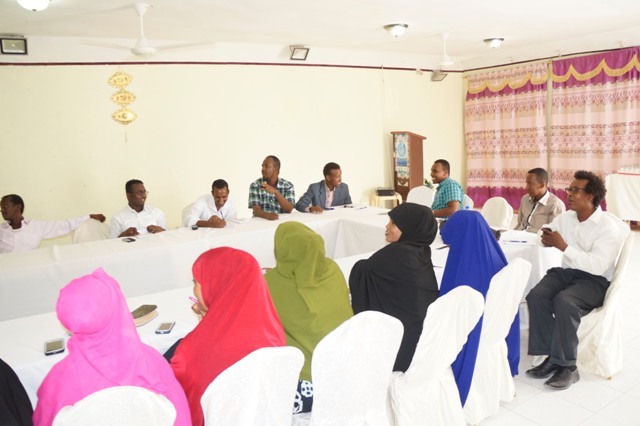 ‘’Throughout the project, SSG will engage civil society and the media to increase citizen’s awareness of these key processes, government structures and activities, and the roles and responsibilities of elected officials to ensure greater transparency and engagement’’ Said SSG’s Mohamed. For more details on the SSG project please follow this link; Strengthening Somali Governance (SSG) project. 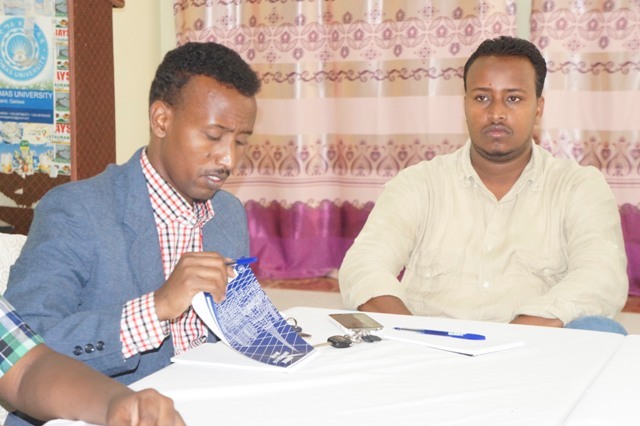 The director of the Puntland Minister of information, posts, telecommunications, culture and heritage Mr. Mowlid Abkay who was the chief guest of honour who officially opened the forum thanked the organisers and participants of the forum. In his remarks Mr. Abkay said ‘’I’m extremely contented to attend this forum on good governance and the role of the media in good governance, this is an important topic we all need good governance including our wide pubic, similarly the role of the media is a vital this includes informing, socializing, communicating and disseminating the good governance message to our society. I hereby officially open the event and wish you best of luck, said Mr. Abkay. 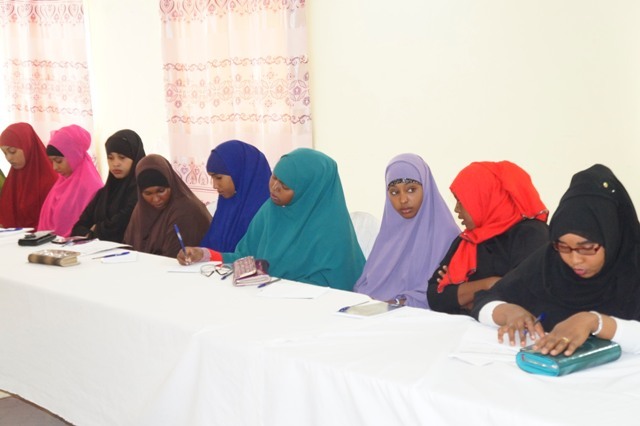 Participants photo: Female participation was highly considered as the forum results called for a stronger partnership between Puntland Media and CSOs to advance ‘’Good Governance’’ in the region. The participants deliberated on building partnership between the CSOs and the media without compromising the professionalism and independence of the partnering agencies. To render meaningful networking and partnership, it was agreed that interactions must go beyond sharing information and create platforms that would give space for civil society to raise their concerns. Policy commitments are also necessary to strengthen the collaboration. 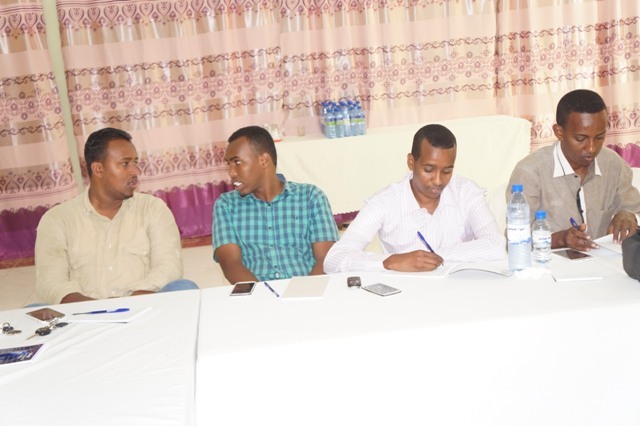 Overbearing regulation and access to information were identified as some major hurdles faced by the media in Puntland; an outstanding example is the ambiguous Puntland Media law. To guarantee good governance, it is vital that a positive relationship should exist amongst the state Media and the Public. The government should therefore implement a legal and regulatory environment which encourages freedom and pluralism, rather than stifles the sharing of information. State institutions that are accountable will use resources constructively. Transparency will allow citizens to determine where political leaders are going astray and put forth well-targeted pressure. MAP continued political advocacy for its media law reform program. 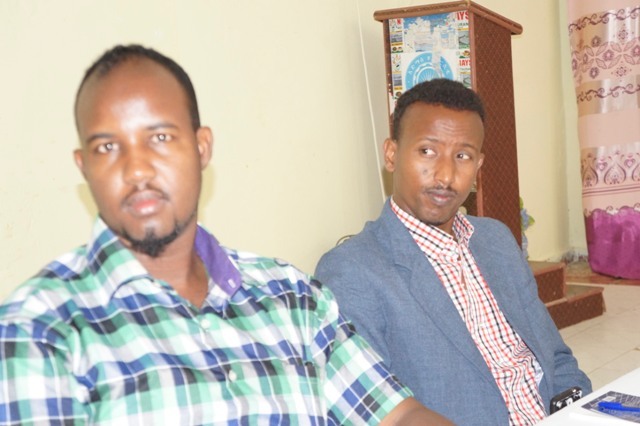 The Puntland media should be free to probe, monitor, and criticize government policies and state actions. Known as the fourth estate, the media plays a crucial role in disseminating information and in ensuring that players in the political field do not abuse the democratic process. In October 2015, the MAP Chairman’s appeal before the Puntland parliament was given consideration and adopted as the 13th minute in the agenda of the 36th parliamentary session. Unfortunately, prior to the discussion of the 13th minute, the 36th parliamentary session was disrupted and suspended on grounds of force majeure due to the emergence of conflict between the Puntland Government and the Galmudug administration in Galkayo district. Discussions on media law reform are scheduled during the next parliamentary session scheduled to resume or start in the middle of 2016. MAP envisages strengthened governance in Puntland and for Somalia a peaceful, democratic and a well-developed state order where there’s efficient and effective management of public and community affairs to the best interest of the citizen of the country. 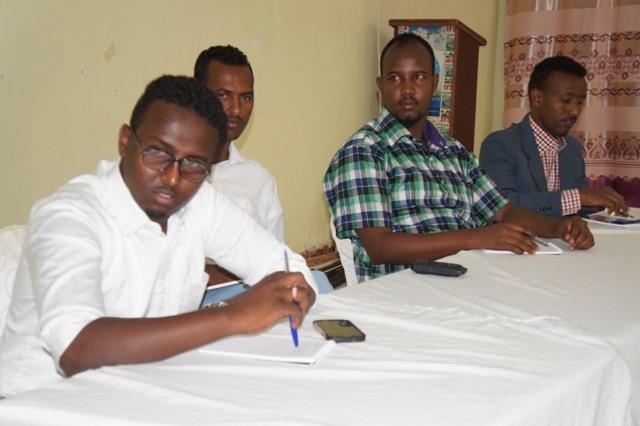 Puntland: Media Owners, Chief Editors and Line Ministry in Puntland Call for Media Unity, Amid NUSOJ Controversy. 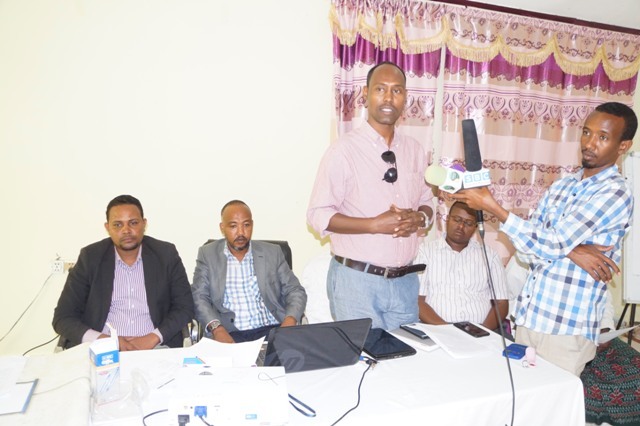 Puntland: MAP holds a 3-day Capacity Building training for it’s Board Members, Staff and Representatives from Media Outlets.